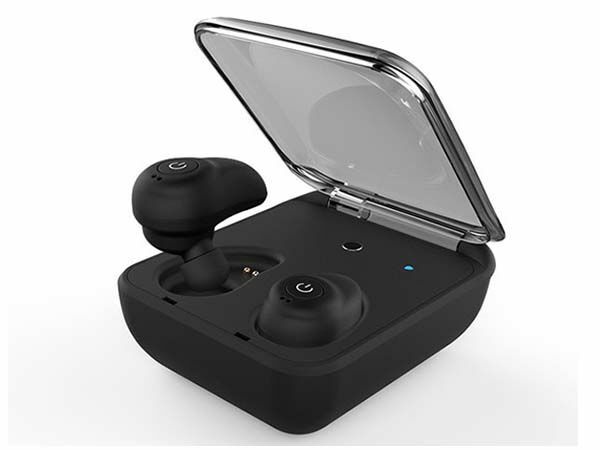 Using built-in memory storage, the AK02 Bluetooth earbuds not only stream your favorite music, but also double as a wireless storage device for your mobile device. Like the idea? Let’s keep checking. The AK02 is a pair of versatile Bluetooth-enabled wireless earbuds. 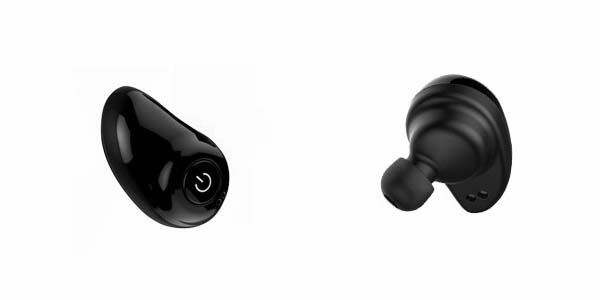 Each earbud measures 15 x 25 x 9mm, and as shown in the images, the earbuds sport an ultra compact and sleek design, and with the help of new technology of nanometer material, the AK MAX also features a lightweight profile plus ergonomic contours in order to comfortably and firmly stay in your ears. The AK02’s Hi-Fi micro-loudspeaker features unique tune trope design and DSP digital signal processing technique so the earbuds have the ability to produce high-quality stereo audio. Integrated AptX digital audio compression algorithm improves wireless audio quality. Furthermore, built-in silicone microphone is designed for handsfree calls with good sound reducibility. Moreover, 30-minute fast charging offers 5-hour continuous audio playback, and a custom 2000mAh battery case not only charges the wireless earbuds, but also works as a power bank for other mobile devices. In addition, the AK02 features built-in 16GB/32GB internal storage so you can also use it to store your photos, videos, songs and documents as a wireless storage device. The AK02 has been available for preorder on Indiegogo. You can pledge $79 to own the Bluetooth earbuds. It will be shipped in May 2017. BTW, don’t miss the Air wireless earbuds and more cool related gadgets by following tags.